We provide buyers with a comprehensive written builder’s report which includes relevant full colour photos and a clear summary of the main issues. Some inspections are simple tick-box forms which can provide very little detail. At House Inspections Ltd you will get a clear and easy-to- read fully written report, allowing you to really understand the property. Building reports are also often required by clients’ banks, mortgage brokers, lawyers and local authority to satisfy their requirements as part of the purchase process. The report clearly identifies any significant or urgent issues the inspector believes should be addressed within the short to medium term future. The Photo Section of the report helps to give buyers a visual of the issues or general maintenance that is required. We provide comprehensive, fully written reports – no tick boxes. We provide a same day service – you will receive your report the same day as the inspection. Our clients appreciate our prompt and friendly service, and we are available after hours. Do you offer a verbal report? Some companies offer verbal building reports as a cheaper option, which can be enticing. 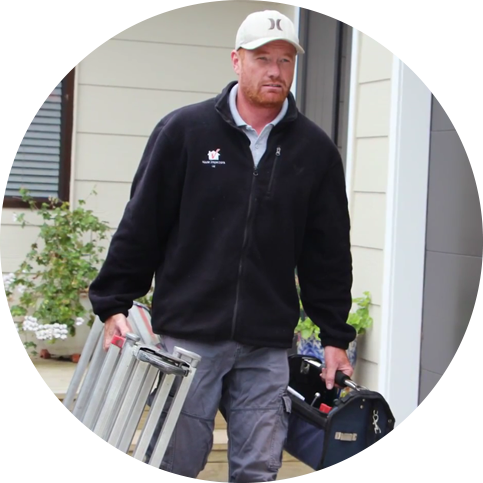 It is our policy to put everything in writing to avoid potential misunderstandings, and also because this is a requirement in order to comply with the NZ Standard for Property Inspections. We have a same day building report guarantee, which means you will have your report the same day that the inspection is carried out. Generally speaking, we have the report emailed to our clients by later afternoon. What if I have questions after I have read my report? You are welcome to contact our inspector with any questions you have about your report – even after hours.